This is a question which I don't think can be replied completely and clearly in a single page. 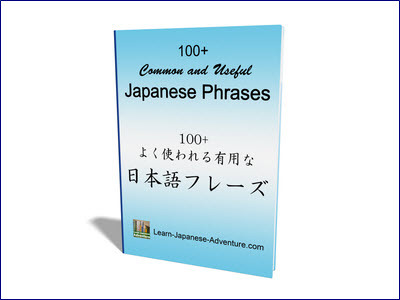 However, I will try to give you a general idea of what are the Japanese particles and how to use them with some examples. Particles, also known as 助詞 (joshi) in Japanese, are actually hiragana characters that attach to main words and indicate the relationship of those words to the following word or the remainder of the sentence. Particles serve as the links that connect the whole sentence together. The sentence will become incomplete without them. There are also particles which are used at the end of the sentence to make the sentence sounds differently. For example, to soften a statement, to add force to a sentence, to indicate a question, etc. You may find that some particles works in the same way as the English words. For example, in this phrase 父と母 (chichi to haha - father and mother), the particle と (to) has the same function as the conjunction "and" in English. There are other particles that works similarly to the prepositions in English, but the placement of the particles are different as compared to their English-counterpart. They are placed after the words they modify. ...the particle と (to) is placed after the word 姉 (ane). ...the particle へ (e) is placed after the word 日本 (nihon). My younger sister is 23 years old. ... the particle を (wo) is used to indicate the direct object - the noun テレビ (terebi) of the verb 見る (miru). 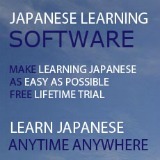 Particles plays an important role in forming a Japanese sentence. Although some of them can be omitted in casual conversation, you cannot omit them in formal situations, especially in writing. Besides, if you use a particle wrongly, the meaning of the sentence can be changed totally. Most of the particles have multiple meanings depending on how they are used. 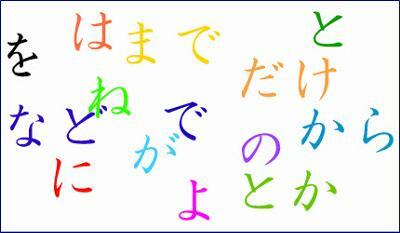 You have already seen two different meaning of the particle と (to) in the above examples. Another example is the particle で (de). For example, アメリカで (amerika de - in America), 電車で (densha de - by train), 仕事で (shigoto de - because of work). I cannot possibly list all the Japanese particles here but I think you get the general idea of what they are and how to use some of them. Basic Lesson 15: Particles ka and mo with Question Words. Basic Lesson 16: Particles to and de. Basic Lesson 24: Particles wa and ga. Basic Lesson 27: Particle to for Quotation. 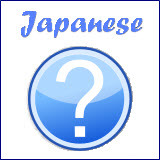 FAQ: Using Japanese particles correctly. Comments for what are the particles in japanese and how to use the particles?